Book your appointment today to begin your transformational journey to health & well-being. For ease of booking future appointments, we encourage you to register for an account. This will allow you to see your scheduled appointments, package balance, and pre-fill intake forms. 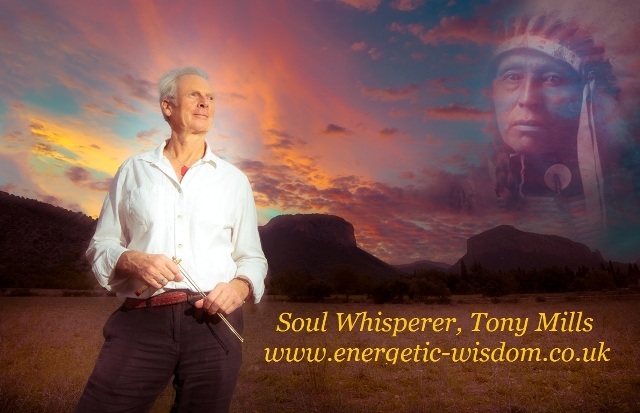 Book a clarity call to speak with Tony and discuss how he can help you become a better version of yourself. These will usually take place using Zoom, which is a professional online video conferencing system, which is like Skype, but much more reliable. Unlike Skype, you will not need to create an account. However, if you prefer to speak via the telephone, as long as you are in the UK, then simply state this in the notes section of the automatic email you will receive, along with your telephone number. CLINIC APPOINTMENT in Other Locations (Occasionally I am working away). This is a rare opportunity to see me in person in the Lake District, as I am on my way north to Dumfries, Scotland for an event and a holiday with my wife. Annie's is from Dumfries. There may be the opportunity to see me again on Tuesday 2nd April on my return trip. Please contact me to enquire. This is a rare opportunity to see me in person in Dumfries, as I will only be visiting for the weekend on a working holiday with my wife, Annie who is from Dumfries. Distance Healing (Includes an emailed report). As humans, we are holographic beings, existing in both a physical and energetic form, and due to this, Tony is able to safely and easily access the client’s system remotely. This may sound impossible, however many therapists are able to work in this way. After booking, you will receive further information and instructions. Zoom is like Skype, but better and you DO NOT need a Zoom account. A Zoom appointment is like being in a clinic room with Tony, but you stay at home. A computer or laptop with a camera to allow for the video connection, and a fast internet connection is required. It is a very simple system, and you do not need to be computer savvy to use it. You will receive further instructions and a link to the meeting room, by email after booking. Book 3 Get 1 Free is your opportunity to go deep into your personal challenge. Give yourself permission to commit to a path of empowerment and positive change in your life. One appointment can create positive change. Book 3 Get 1 Free today. After payment, you will receive an email with your Package Code. Enter this code at checkout to zero the balance. For ease of booking future appointments, we encourage you to register for an account. This will allow you to see your scheduled appointments, package balance, and pre-fill intake forms. If you have any questions, please don't hesitate to reach out. All 4 appointments must be taken within 60 days after purchase and are non-transferrable or refundable. The appointments are only for the one person and thus cannot be shared with family members. To ensure you use your appointments before the voucher expiry date, we suggest booking your appointments as soon as possible. Should you need to change a booking date or time, you can achieve this automatically via the link in your confirmation email. Gift a distance healing appointment. This can be for an adult or a child. After booking, you will receive an email with a code, which you can send to the person of your choice. You can email this to them, or add info into a nice card, along with the website address and discount code, and post to them. The choice is yours. The Gift Certificate is valid for one month from the time of booking. If unused before this time, no refund can be given. The voucher is only valid for a Distance Healing. Give the gift of healing. Purchase a Gift Certificate for a friend or family member.